The suburb I live in nestles up against commercial plantations on the edge of town. Pre the colonial era and the development of urban settlement, what is now plantation and suburbia was part of a mosaic of mistbelt forest and grassland. Rolling grasslands in the interior of what became known as Natal Province (now KwaZulu-Natal) were interspersed with forest patches that grew mostly on southern-facing slopes. These patches varied in size and shape, with some adjoining to form long bands of almost continuous forest. The mistbelt forests and grasslands were ecologically interrelated, with many animals and birds moving in and out of the forests and migrating between forested areas depending on the seasons and food supply, and with many inhabiting the scrub of the forest margins. Because of human activity, including logging, agriculture and commercial plantations, most of the grasslands have become transformed or lost. It is estimated that only 4% of untransformed mistbelt grassland remains and even that is under threat. Forested areas too have declined in size with many small patches being entirely eradicated. Because forest patches function as a linked system with animals migrating from patch to patch, the loss of many small patches impacts on the survival of forest-dependent species, such as Cape Parrots and Samango monkeys. Fruit-eating Cape Parrots need to migrate between forest patches to have continuous access to food. Samango monkeys disperse across forest patches for breeding purposes. The absence of safe corridors between increasingly isolated forest patches creates additional threats to the survival of such species. The endangered subspecies of Samango monkey, Cercopithecus mitis labiatus, is one of the species threatened by the decline in size and degradation of forest patches as well as by the increasing isolation of remaining patches. As they reach sexual maturity, male Samango monkeys individually disperse from their birth troop as they move off seeking to join other troops in other forest areas. Dispersing males are particularly vulnerable and at risk of being killed by traffic, domestic dogs or by people, and in some areas they are in danger of electrocution on power lines. Testimony to the age of the mistbelt forests is this Lemonwood tree (Xymalos monospora) estimated to be 2000 years old. As old trees become hollow in the centre they coppice from the base to form a cluster of trunks, as can be seen in the photo above. Human activity has impacted not only on the number and size of mistbelt forest patches, but also on the composition of remaining forest. Logging for timber during the colonial era and into the 20th century made an impact, with large old trees specifically targeted. Disused sawpits can still be seen in the Midlands forests. Overwintering livestock in forests also had a detrimental effect. These days commercial plantations provide for most timber requirements and remaining mistbelt forests are no longer commercially logged. However, locally-based harvesting of trees and forest products continues, and frequent fire burning and agricultural activity right up to edges of remaining forest patches are among the factors impacting on the health and diversity of the forests. Just over half of the surviving mistbelt forests in the KwaZulu-Natal Midlands fall under the jurisdiction of Ezemvelo KZN Wildlife or the Department of Agriculture, Forestry and Fisheries, and many of the other forested areas form part of local conservancies. Most conservancies have regular organised walks providing visitors with the opportunity to visit forested areas on private lands. For information on walks in Midlands Conservancies see here. These forest photographs were all taken when I was walking in conservancy or conservation areas in the KwaZulu-Natal Midlands, and include Balgowan, The Dargle, Fort Nottingham and Karkloof. The first two names reflect the Scottish and Irish origins of British settlers who named their land in keeping with their homelands, renaming farms (such as Buffels Bosch) previously owned by Voortrekker farmers who left when Britain took over the former Boer Republic of Natalia in 1843 prior to establishing the Colony of Natal. The village of Fort Nottingham had an actual fort established by the British in 1856 for the Nottinghamshire regiment garrisoned there to protect settlers from cattle rustling by Bushmen/San who lived in the foothills of the Drakensberg mountains. And the name Karkloof? The story is that its name comes from the wreck of a wagon, owned by a Dutch farmer, which overturned in the valley in 1845 and remained as a landmark for many years. “Kar” in Dutch refers to the wagon, and “kloof” to the valley. The livelihoods of people living in the KwaZulu-Natal Midlands were intimately connected to the forests. The settlers exploited the forests for timber used for their buildings, much of their furniture, their wagons and carts, and fences. Many other items in daily use were made using wood from trees felled in the forests. And even where I live today, although only tiny and drastically depleted remnants of forests and scrub remain, living reminders of the forests that have gone are the species of forest birds that manage to survive. In a discussion of mistbelt forests on its website, Birdlife South Africa lists species it regards as important forest birds. Alas, our treed suburban spaces and the neigbouring plantation, being only a poor facsimile of the former forest, are unable to support many of the listed forest species. But I have seen the following species in our garden, several of which I have posted about on this blog. They are the Lemon Dove, Bush Blackcap, Olive Woodpecker, Grey Cuckooshrike, Chorister Robin-Chat, White Starred Robin, Swee Waxbill and Forest Canary. There are still Crowned Eagles and African Wood Owls in the neighbourhood, but sadly the Black Sparrowhawks that used to nest near our garden a few years back are gone. 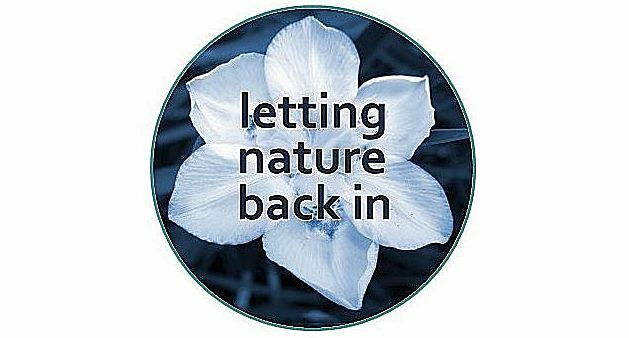 I believe that wildlife-friendly gardening practices even in suburbia and other urban spaces can provide refuge and sustenance to many species of plants, birds and creatures, many of which lead a tenuous existence. They need our help. Hopefully, our small and seemingly puny individual efforts, emulating the mosaic of forest patches, can add up to an ecological network that supports more than the sum of the parts? Nesting Chorister Robin-chats update: Two days after my previous post on the Chorister Robin-chats nesting in our garden, we saw one baby robin emerging from the nest at dusk on a relatively cool and damp evening (too dark for photographs). It perched awhile before flying awkwardly to ground, making it to a small shrub and then through the fence into some dense vegetation on the edge of the plantation behind our garden. After five minutes one of the parents appeared and perched in a tree calling softly. It suddenly flew down to where the baby had hidden itself and was greeted by loud and excited chirping from the baby. We have not seen or heard it since, though we hear the parents calling in the early morning and at dusk. Perhaps when it is older it will emerge from the dense cover of its hideout and we will see it again. Chorister Robin-chats feed their fledglings for up to six weeks after they leave the nest. Fascinating and frightening that forests are still being destroyed globally on such a scale despite so-called raised-awareness. I appreciate what you said about people moving into forested areas and then cutting down trees; that happens here too as people remove trees that ‘spoil’ their views or shade their gardens! Yes one does wonder about the so-called raised-awareness as it does seem to count for so little. And even some folks who consider themselves to be aware still feel that nature is there for their convenience and that they can pick and choose what suits them and when. Your very informative post conveys your love to this special forest. I share your enthusiasm. Nearly every day I practice shinrin-yoku. Hanover has the biggest city forest in Europe. One reason I live in this town. Yes, species protection always means biotope protection. We have to fight for every patch, otherwise we will lost our diversity of the world. Lovely to know you have nearby forests to help keep your sanity even in the city area! Yes, we do need to preserve and protect every patch best we can. Very interesting information, which echoes a walk/talk I went to a couple of years ago. That was about the cloud forests above Kailua Kona on the west side of the Big Island. Onshore winds form clouds which build up on the slopes. The forests up there catch the water out of those clouds which help them, and the ecosystem associated with them, thrive. But as people move in, they cut down the trees and so the moisture is lost and the forest suffers. The place I visited is busy encouraging people to keep the trees and the rich variety of life the forest supports. They’re having some success, but still people clearcut so they can have open grassy spaces that they spend hours maintaining on their riding mowers. I hope you have better luck there with your mistbelt forests. Thanks also for the Chorister Robin-chats update. So interesting to hear about the cloud forests in Hawaii. We have similar illogical scenarios here. People move to the forest areas ostensibly loving the forests and the wildlife, but then set about cutting down trees, clearing indigenous vegetation (considering it to be “untidy”) and trying to grow exotic plants that set up adversarial relationships between themselves and the wildlife they profess to love! Humans think we are the intelligent species, and yet, for example, expect bushbuck to know not to eat the rose bushes planted in the gardens that encroach on the forest! Gosh aren’t these forest animals just so naughty? Indeed. Then there are cities spreading out into farmland and people complaining about early morning noise and those smells! And the preferred solution is to move the farms. I’m not sure many people have any idea of where food comes from. The Midlands is one of our favourite destinations, and the forests being just one of the reasons why we return again and again! The forests are incredibly special. Glad to know that you love them too. Perhaps we can meet up when you next visit? That would be wonderful, Carol – thanks! Oh yes, “English cottage gardens” are still just about de rigueur in Midlands gardens of the well off: roses, foxgloves and so on, and mixed borders of flowering plants, and if any of our wild plants have the temerity to show up in the garden, many of them are plucked out as weeds! Luckily though, many South African plants have attained desirability in England, and so those ones are acceptable. Some folks are becoming more open to indigenous trees, but oak trees are more likely to be found in older gardens than our forest species. I am still keeping an eye out (well really keeping my ears open) for the baby robin-chat. It would be lovely to know if it is doing okay. I always enjoy your ‘articles’. Thanks John. Aren’t we fortunate to live in this neck of the woods (or rather planties)? What an interesting morning read! We have created a mini-forest in our garden – not everyone’s idea of a suburban garden – which is very rewarding. Thanks Anne. I hope others in your neighbourhood are inspired by your rewarding mini forest? Dishearteningly, I find that most suburbanites have rigid ideas and adhere to outdated ‘oughts ‘ when it comes to their orderly gardens and lawns. Maybe they can compromise and provide secret corners of wildness in their spaces, but many gardeners that I have met seem to be rather stern! Even a back corner would do: I let one of my vegetable gardens ‘go to grass’ because of no water to keep it going. It is delightful to see the variety of seed-eating birds that come to either strip the seed heads or to pick up seeds from the ground. Good idea! Wild grasses are somewhat overlooked. What a marvelous post! You share many of the same sorts of problems we do trying to keep more creatures from extinction. It’s turning into a global crisis, I’m afraid. Seems we have a movement to try to encourage native plants that will help save some native species from extinction whether they be plants, birds or animals. I’m afraid that us humans (in general) have not done well by the species we dominate. It’s good to see voices like yours speaking out and spreading the word! Thanks Gunta. Let’s hope there is a real movement to do what we can in the belief that even small accommodations to nature can add up to creating lifesaving networks and corridors. And in the virtual sphere it is nice to form global connections too. enjoyed this so much – thank you! an special treat when viewed from urban Toronto at the outset of dark cold winter. Thank you Camila. I can’t even imagine the long days and low temperatures of Canadian winters. Perhaps there are ways to replicate a happy hibernation through the winter? You live in a beautiful area, it looks so lush right now, too. The story of your grasslands reminds me of our Great Plains, most now under cultivation. Very little is left wild these days. Interesting to think about the similar loss of your Great Plains on such a vast scale. Very little wilderness left despite its importance on so many levels. Truly a great loss and with it, countless extinctions, which troubles my heart very much. Yes, sometimes that heaviness in the heart makes optimism extremely difficult.